First, I like to know which of my pieces you like. 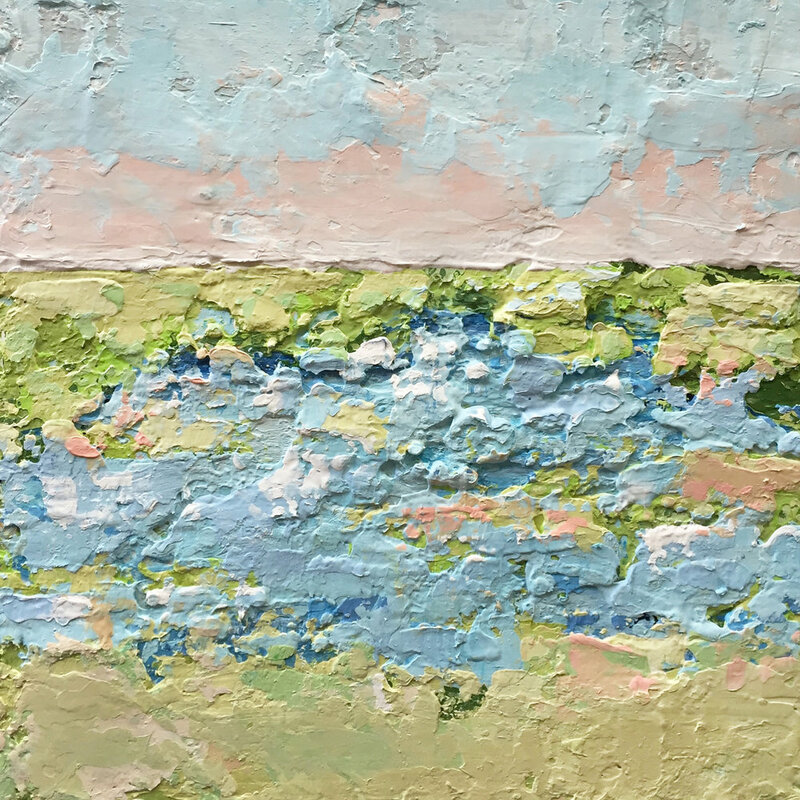 Do you love the abstract look or would you rather go with an impressionistic landscape? DO YOU HAVE A SPACE IN MIND? Time to pick a size! Are you looking to hang this piece on a wall, or maybe display it on a shelf? I highly recommend getting out a measuring tape and measuring your space. Canvas sizes in your mind can be deceiving and it’s better to measure twice and paint once! If you are curious about my commission pricing just send me an email and I would be happy to send you my pricing info! NOW WE KNOW THE DIRECTION, WHAT'S NEXT? I like to get an idea of colors you would like to see in your piece. Are their colors within your space you would like to incorporate, or maybe you have an image of a special place you would like me to reference? I am always happy to incorporate these requests, but my goal is to make every painting reflect my own style. That’s why you hired me, right? WHEN WILL I START AND HOW LONG WILL IT TAKE? This answer will always vary depending on how many commissions I have at the time and the size of your piece. We can talk about this up front and I can give you a better idea of timing. If you are hoping to receive your piece by a certain date or holiday, let me know and I can work to accommodate your timeline. No promises, but I will always try! DO YOU GET INPUT DURING THE PROCESS? Of course! Once I feel that I have reached a place where I am happy with your piece I will send you a photo. My goal is that you are happy and in love with your piece, so I want you to be able to provide feedback. Are there colors you would like to see more of? Is there something you would like me to soften or remove? I will gladly listen to your requests and accommodate. I will go through this process with you up to two time if needed (I have never had to do this with any client, but it’s important you have the option). Of course I can be flexible on this, but I have the guideline in place so commissions don’t go on forever preventing me from taking on more clients. I need to spread the painting love! HOW DO YOU GET YOUR PAINTING?